In 2 weeks, if all goes according to schedule, the trial of Larry and Carri Williams, adoptive parents (and alleged murderers) of Hana Alemu (Hannah Williams) will take place: Monday, July 22, 2013, at 9am at the Skagit County Courthouse in Mount Vernon, Washington. Jury selection will probably take 2 or 3 days, so the opening statements might begin on Wednesday July 24 or Thursday July 25. Additionally, there is a meeting among the lawyers scheduled for July 16, for last minute maneuvering. As I hear any news, I will post an update. Please spread the word encouraging others to attend this trial if at all possible. I plan to be there, to bear witness for Hana, in the hope that justice will be served. 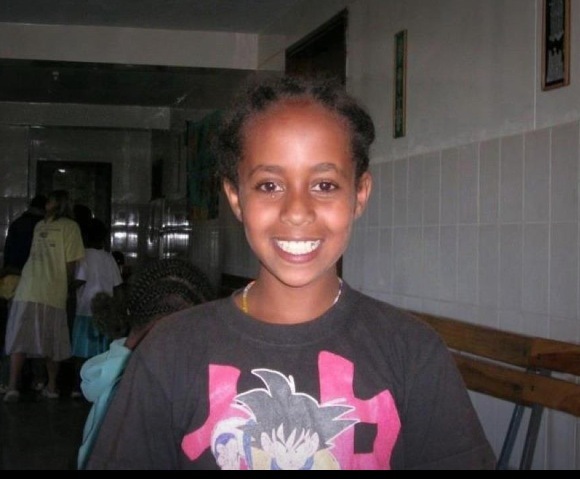 For background information, please see my previous posts Update on Hana Alemu, On Mother’s Day, and In Remembrance of Hana. The Williamses are accused of homicide by abuse: this charge means that they caused Hana’s death (May 12, 2011) due to a pattern or practice of abuse or torture. It’s apparently a difficult charge to prove, as a jury must believe beyond a reasonable doubt that a pattern of torture or abuse existed, and that the pattern caused Hana’s death. If the Williamses are found guilty, the average sentence is 23 years. The Williamses are also accused of 2 other crimes. One is first degree assault on Immanuel, the other Ethiopian child they adopted. The charge means that they caused him serious bodily harm. While much attention has rightly been placed on Hana’s death, Immanuel was certainly a victim here as well. May we all keep him in our hearts. What that child has apparently been through–terrible abuse by his adoptive parents, as well as witnessing Hana’s abuse and death–is wrenching. He will likely be called to testify at the trial. I have heard he is doing well in his foster home, where his foster mother is deaf (as is Immanuel) and is teaching him sign language in a safe environment. I wish him healing, strength, and justice. The other criminal charge against the Williamses is first degree manslaughter of Hana, which means recklessly causing her death. That carries a sentence of 7.5 years. I’m not a lawyer. It’s been over 2 years since Hana died, and the trial is only happening now. Her body has been exhumed and reburied. No doubt there have been dozens of meetings and hearings and other legal actions. No one knows what the outcome of the trial will be. We can hope for justice for Hana. Whatever happens, we will not forget her. And let’s remember Immanuel always as well. This entry was posted in abuse, adoptees, adoptive parents, Ethiopian, Ethiopian adoptees, Hana Alemu, Hanna Williams, Uncategorized, Washington state and tagged Ethiopian adoption, Hana Alemu, Hanna Williams, Hannah Williams, Larry and Carri Williams, Washington state by Light Of Day Stories. Bookmark the permalink. Pingback: Hana Alemu (“Williams”) Trial in 10 Days | Why Not Train A Child? Reblogged on http://www.larahentz.wordpress.com – as an adoptee, I am horrified to read this. I am a person close to the situation. I can tell you that Immanuel is doing very well, despite the abuse afflicted upon him. And Hana, as you are with the Lord in peace, I pray that justice will be served. Thank you for posting this…are prayers are with Immanuel and we know Hana is resting with the Lord Jesus….I know she feels the love she always deserved now.. Thanks for keeping us updated. My heart breaks for Immanuel and the whole situation. I have five adopted sons and cant imagine all they went through in their young lives before we got them only to come to a place of hope and have that hope so violently and horribly dashed.